These objects are the result of a psychological investigation into familiarity and the use of transitional objects with dementia patients. 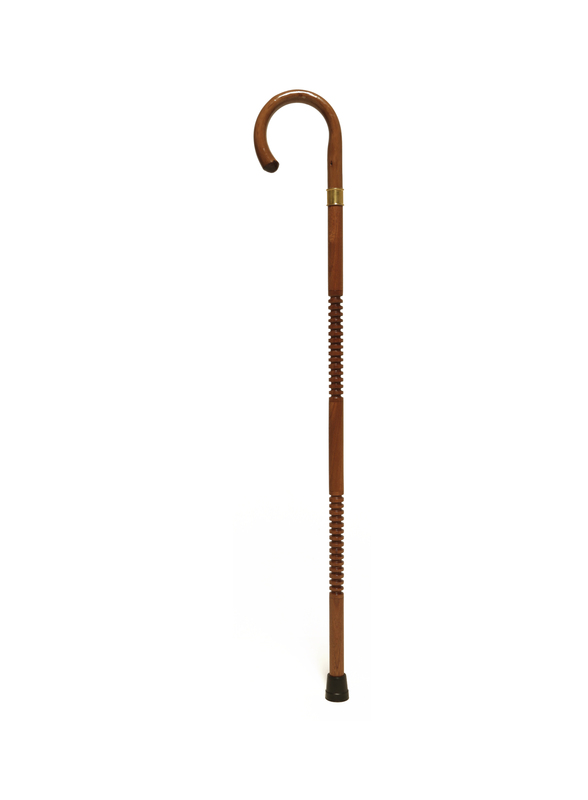 With conventional instruments being intimidating to the amateur player the Rhythm Sticks offer physical and mental support utilising the archetype of a walking stick and introduces a musical application. 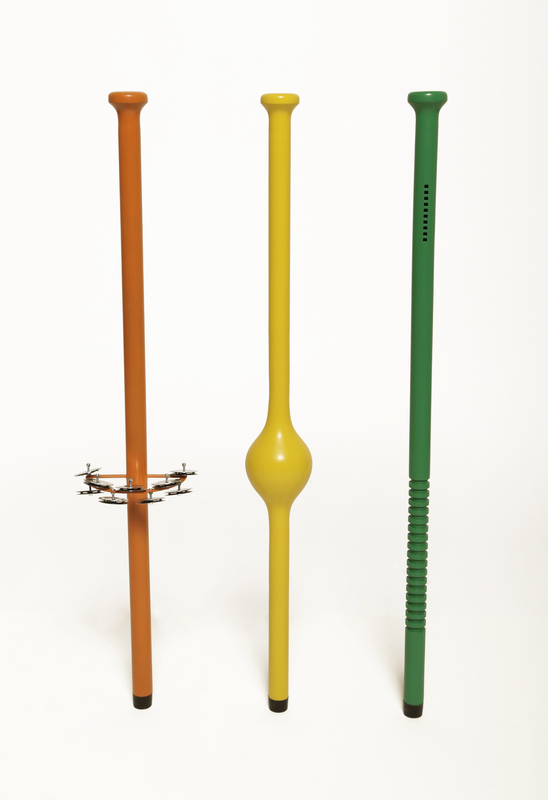 These were created in response to the insight of how residents contributed during sessions by tapping their walking sticks on the floor in time to the music. 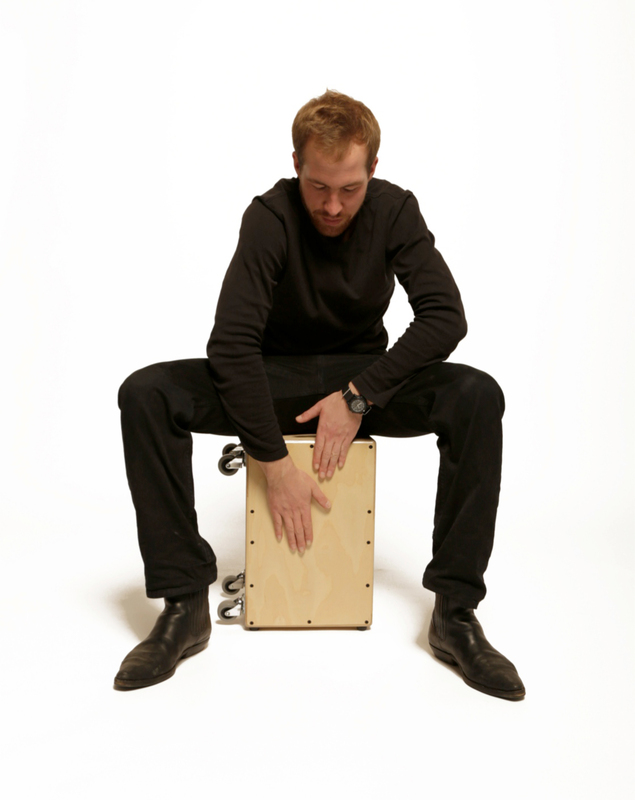 By tapping the stick on the floor, the Cajon/trolley is played by the music therapist to lead the session. Familiar objects that utilise long-term memory are an excellent tool in encouraging dementia patients to participate during music therapy sessions. 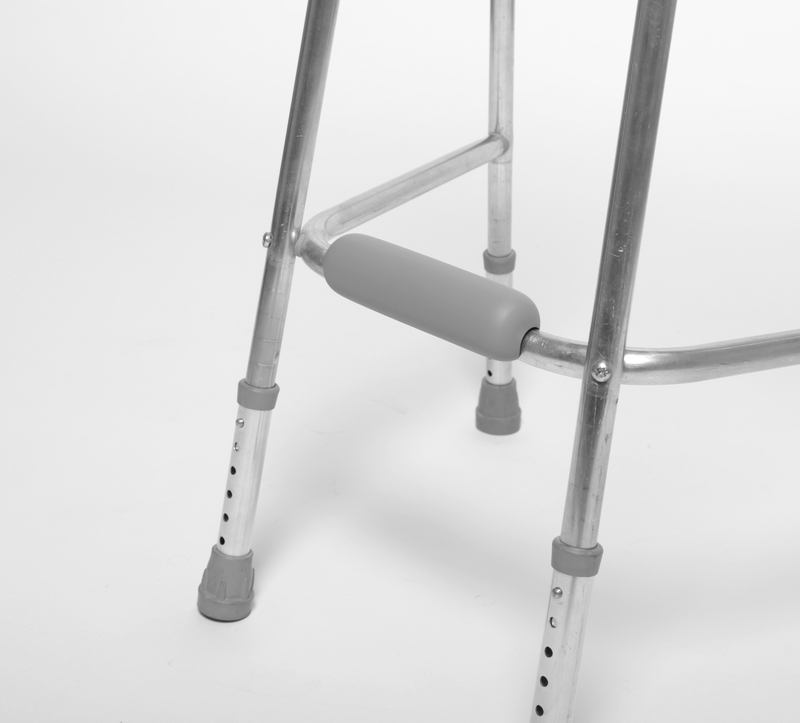 Like the Rhythm Sticks, the Piano Zimmer Frame offers an opportunity to liberate a stigmatised product by turning it into an assistive musical instrument. 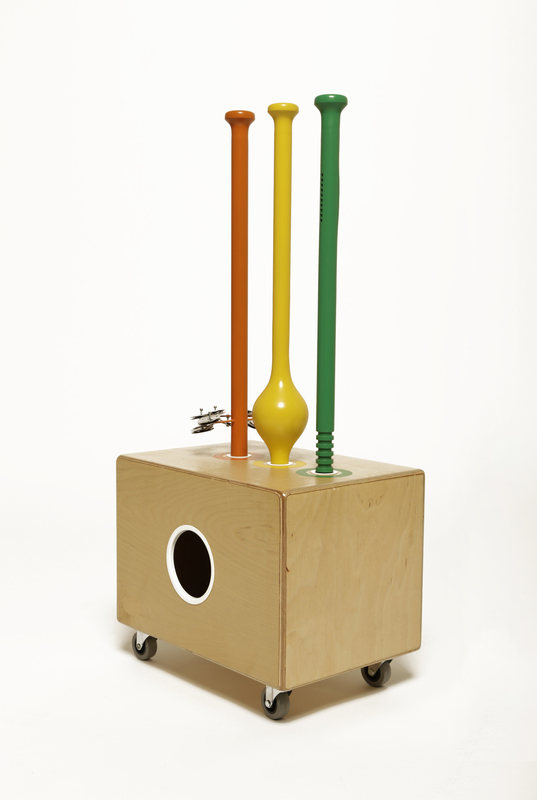 The Zimmer frame becomes a playable MIDI controller, this uses a piezo sensor and computer software that converts acoustic impulses into MIDI messages. 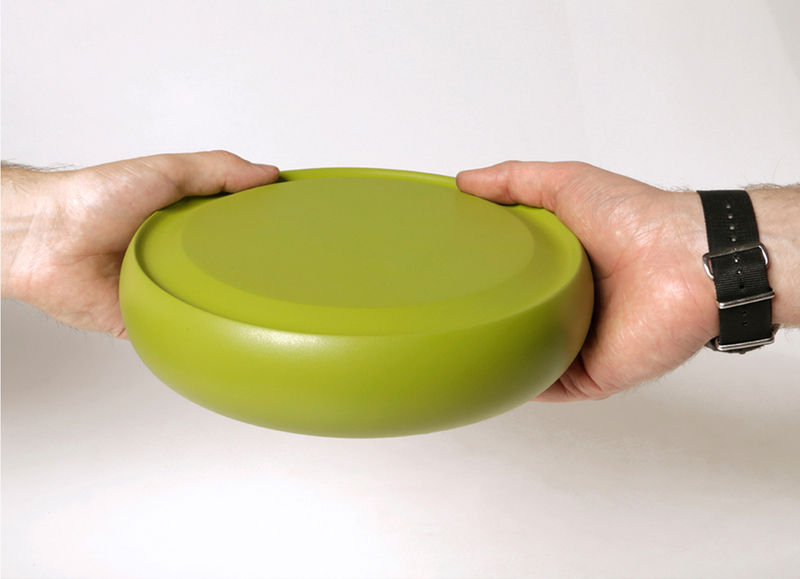 An object centred around giving and receiving gifts to encourage interaction through collective contribution to make music. This offers dementia patients an opportunity to participate during music therapy sessions in an easy way helping them to connect with the person they choose to pass the parcel to, this has helped to establish new and build upon existing relationships within the care home. 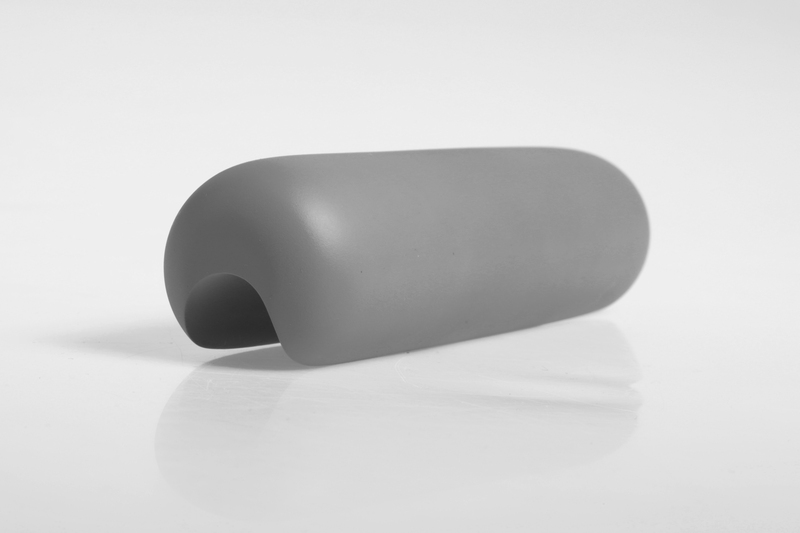 This focuses on inclusive design with it’s subtle athritis-friendly feature to increase grip making it easier to hold. As the parcel moves from person to person new layers (instrument loops) are activated creating a backing track for the group to sing along to. This prototype is being funded and supported by the More Than Profit programme, which is a UAL Social Enterprise support programme (More Than Profit is run by SEE/Student Enterprise & Employability in partnership with UAL DESIS Lab and the UK Social Enterprise Charity UnLtd). Some providers are turning to retro-decorating, a relatively inexpensive answer to reassuring confused patients. 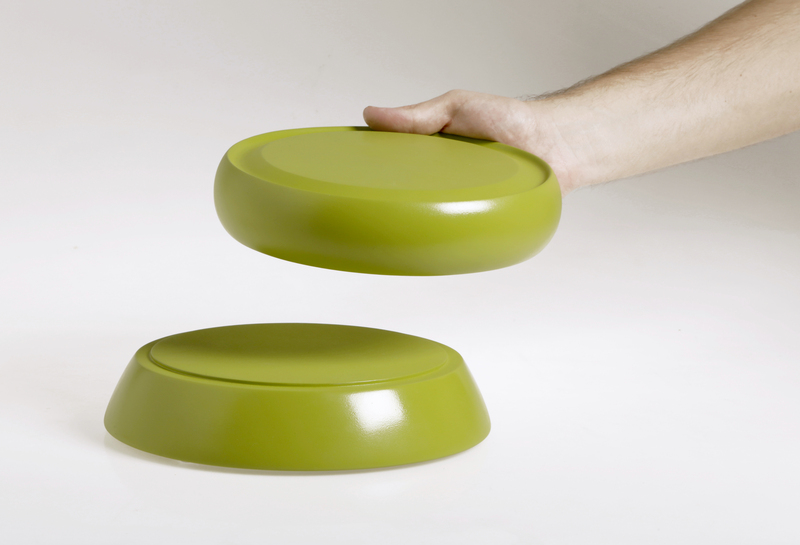 Retro-decorating schemes see modern technologies replaced by older versions, surrounding dementia sufferers with objects from the past to trigger their memory, and using and colour and light to make daily tasks simpler. Dementia causes the loss of short-term memory, which can cause distress and often anger in patients who become confused about who and where they are. By providing an environment which patients remember, either through the use of colour, design or objects, retro-decorating reassures and provides triggers to remind them to follow a daily routine. 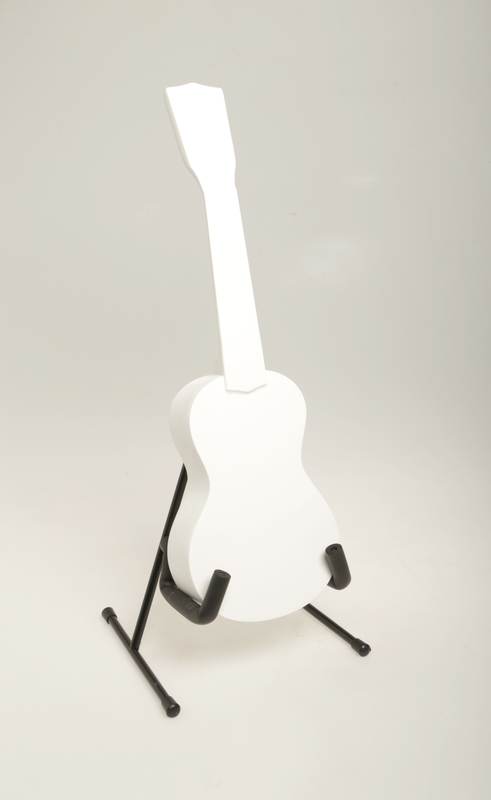 Using the same technology as the Piano Zimmer Frame the vibrations absorbed through tapping are turned into music by converting acoustic impulses into MIDI messages. 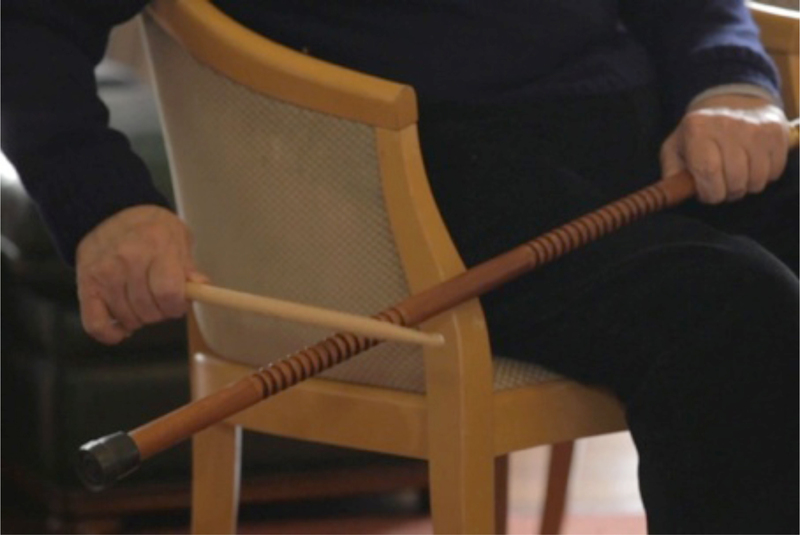 Making subtle changes to existing objects helps dementia patients to feel comfortable with contributing during music sessions, the Guiro Stick uses aesthetics and decoration to conceal the fact that it’s an instrument. 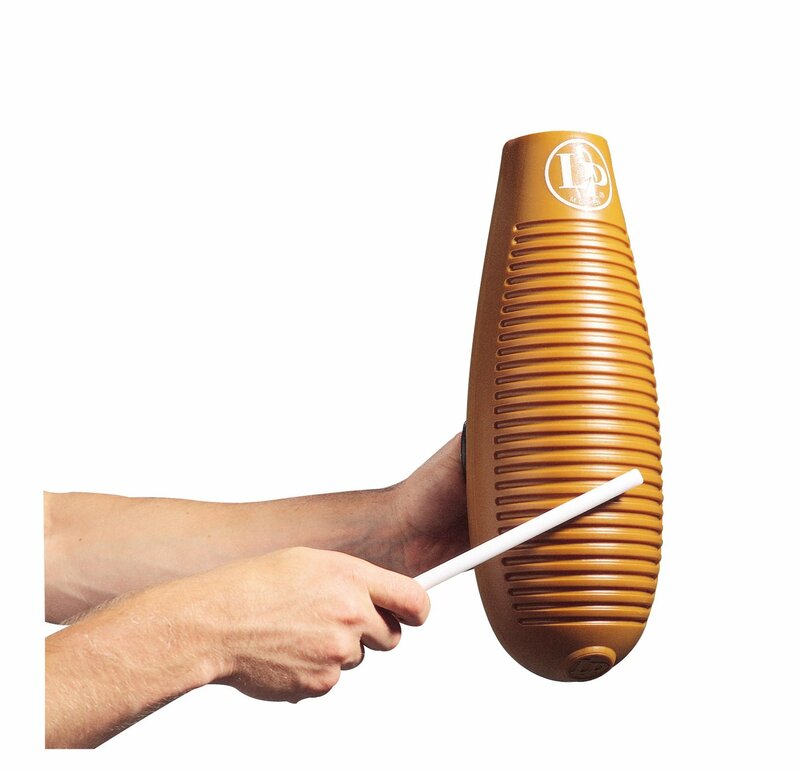 Running a drum stick along the ridges of hardwood creates a percussive sound like a Guiro.